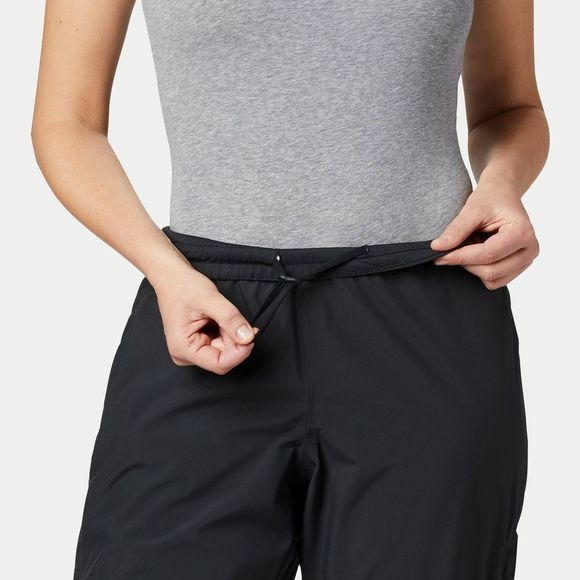 Looking for a reliable rain trouser with a women's fit ? You got it. These comfortable stretch waterproof Columbia trousers keep the rain out and let your skin breathe while hiking or running in wet conditions thanks to leg venting and a 3/4 side leg zip. Keep your essentials safe thanks to th zippered stash pocket. What else ? This trouser is packable so easy to fit in your backpack.